My Spotify subscription has run out and Apple Music looks more appealing to me now. I was wondering if there is any way to transfer playlists from Spotify to iTunes library? They're really big and I don't want to lose them." When it comes to subscribers, the undisputed king of on-demand streaming music is Spotify, with over 80 million paid users. But thing has changed since Apple Inc. came to get a share of this pie. Just almost 3 and a half year old, it is reported that Apple Music now has roughly 40 million paid users. Apple Music has ways to go to catch up to Spotify which also gives users access to the entire iTunes library, a swath of curated playlists, and offers a three-month free trial and a 24/7 global streaming music channel led by former BBC DJ Zane Lowe. Even the required subscription fee of $10 per month is no great barrier for entry, as Apple Music discounted family plan. Some users was expecting to jump ship from Spotify to Apple Music but also wish to get beloved Spotify songs and playlists over to Apple Music. 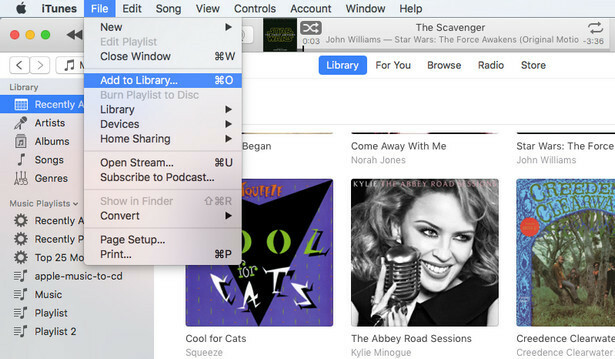 Can you transfer your Spotify playlist to iTunes library? The short answer is that you can't without using third-party software. 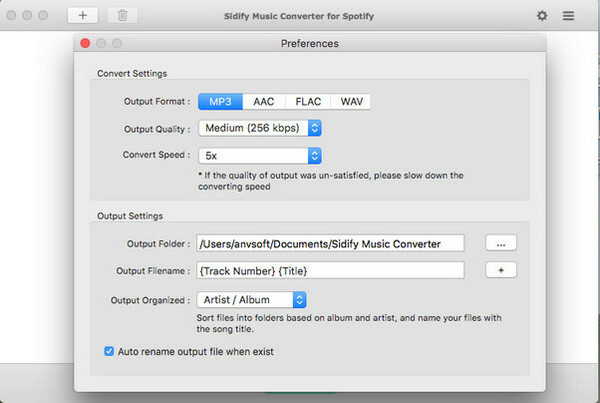 If you can't wait to jump ship from Spotify to Apple Music, Sidify Music Converter seems to be the only best & painless way to transfer your beloved Spotify playlists to iTunes library. 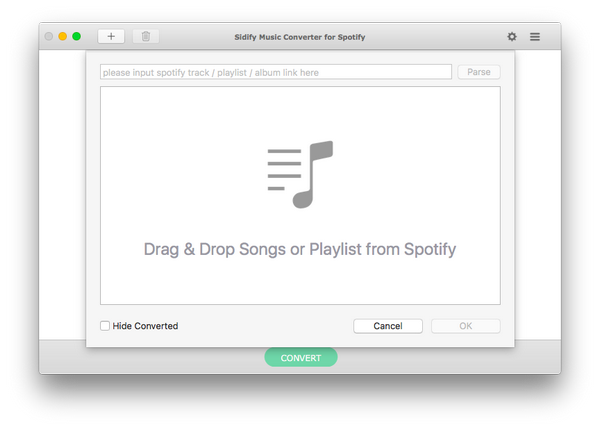 In the following post, we'll introduce how to export playlist from Spotify with Sidify Music Converter and import to iTunes Library. 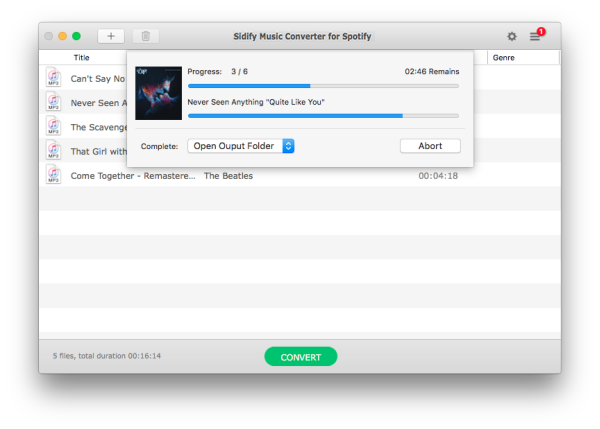 Sidify Music Converter for Spotify (Mac Version | Windows Version) is the easiest and most feature-packed tool for those who want to transfer Spotify playlists to other streaming music service, such as Apple Music, Google Play Music and Tidal, etc. Like most streaming services, Spotify music adds a DRM (Digital Rights Management) layer to its streaming music without exception. Don't worry! 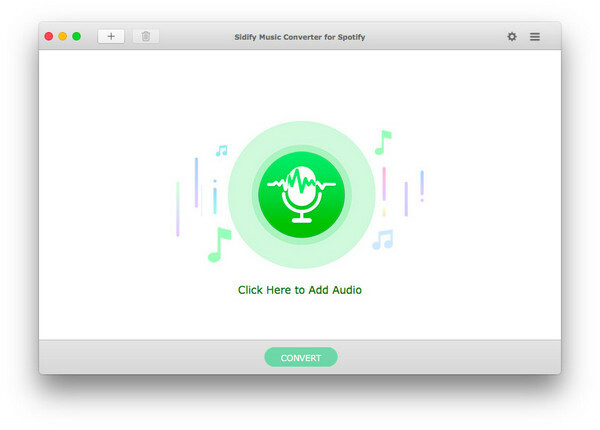 With Sidify Music Converter for Spotify, you can easily get a seamlessly DRM-free version of Spotify music Playlist. 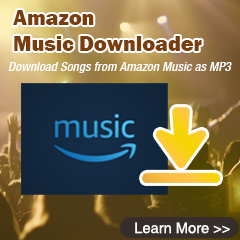 Highly compatible with the latest Spotify and Mac/Windows OS. 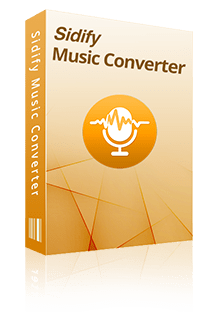 Step 4 Click "CONVERT" button to start converting Spotify music or Spotify playlist to plain MP3, AAC, WAV or FLAC format without losing in quality. 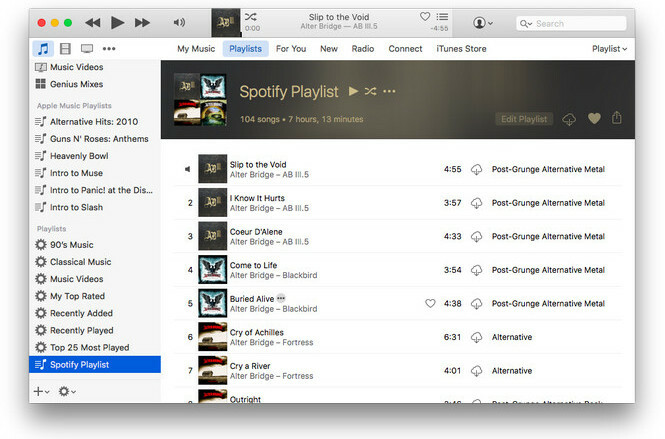 Now, you can import all your DRM-free Spotify Playlist to iTunes library easily! Firstly, making sure iTunes is installed on your computer and are signed in with your Apple Music account. Open iTunes, go to Menu bar -> File- > Add to Library" to import the Spotify playlists stored on your local computer. When the import is completed, your Spotify playlist will appear in the Playlist section within Apple Music and iTunes.